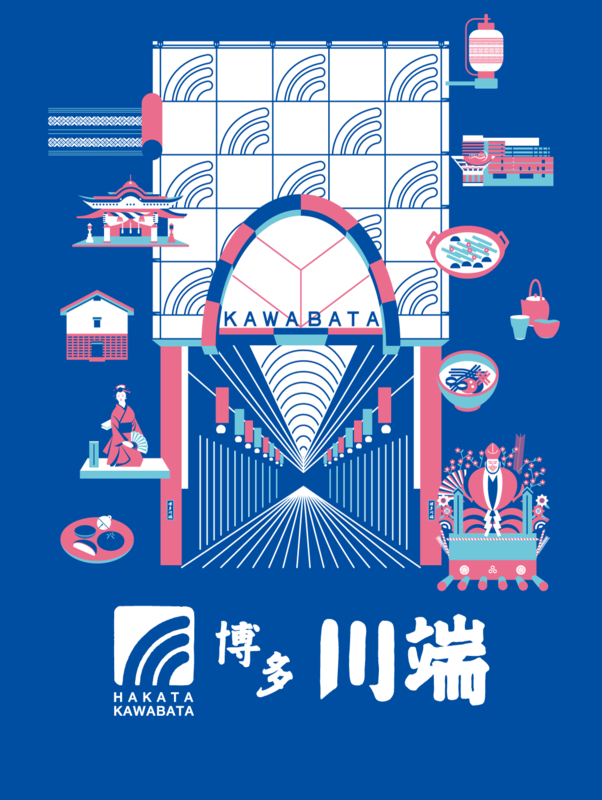 Kawabata Shopping Arcade is the first merchant area that flourished in the Hakata district, and its history can be traced back to more than 130 years. It comprises two arcades, Kawabata Chuo Shopping Arcade and Kami-Kawabata Shopping Arcade, which together measure 400 meters in length. More than 130 stores, old and new, merge to form a lively commercial road filled with apparel shops, restaurants, and specialty stores. More than 10,000 people pass daily through the Arcade, which is surrounded by numerous facilities for tourists.